Apache Tomcat is a web server for multiple operating systems, including CentOS. It's open-source software developed by the Apache Software Foundation, so it's available for free under the Apache license. Apache Tomcat is written in Java, and uses JavaServer Pages and Java servlets to create a pure Java runtime environment. It runs as a single process in its simplest configuration, although Tomcat processes each HTTP request from the browser as a separate thread. The procedure for installing Tomcat generally involves installing the Java Development Kit (JDK), configuring the system environment, downloading Tomcat and installing it. 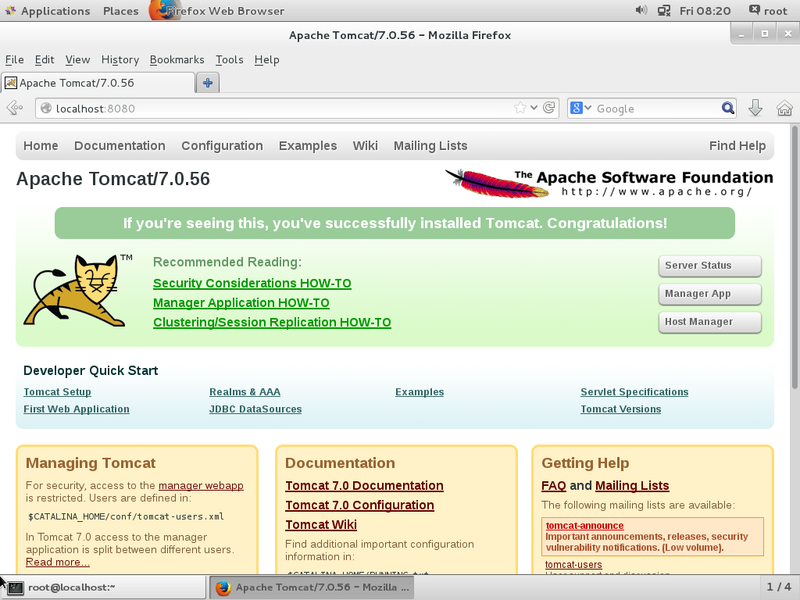 Here is a quick tutorial on how to install Apache Tomcat. Set JAVA_HOME to the location of JDK, which is /usr/lib/jvm/java-1.7.0-openjdk by default. NOTE: Always check to ensure you are downloading the latest version. Version 7.0.56 was current at the time of writing. You'll also need to update the password you use to log in to your Tomcat Manager. We've got thos instructions for you here. How do I create a Tomcat user in Simple Control Panel?